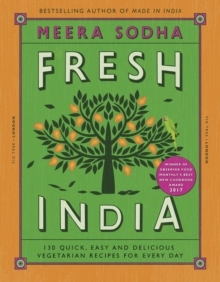 'An unbridled joy' Nigel SlaterWINNER OF THE OBSERVER FOOD MONTHLY'S BEST NEW COOKBOOK AWARD 2017 FROM THE FORTNUM & MASON COOKERY WRITER OF THE YEAR 2018Meera Sodha reveals a whole new side of Indian food that is fresh, delicious and quick to make at home. These vegetable-based recipes offer up a treasure trove of flavours, making the perfect gift for both vegetarians and meat-eaters Here are surprising recipes for every day made using easy to find ingredients: mushroom and walnut samosas, oven-baked onion bhajis and beetroot and paneer kebabs. 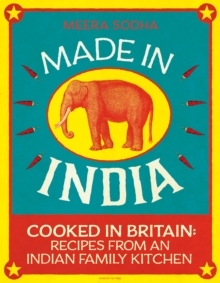 There are familiar and classic Indian recipes like dals, curries and pickles, alongside less familiar ones using fresh seasonal British ingredients, like Brussels sprout thoran, Gardeners' Question Time pilau and green beans with cashew nuts and coconut. And then there are showstoppers such as daily dosas with coconut potatoes, roasted cauliflower korma, sticky mango paneer skewers, wild mushroom upma and lime pickle rice with roast squash and red onion.